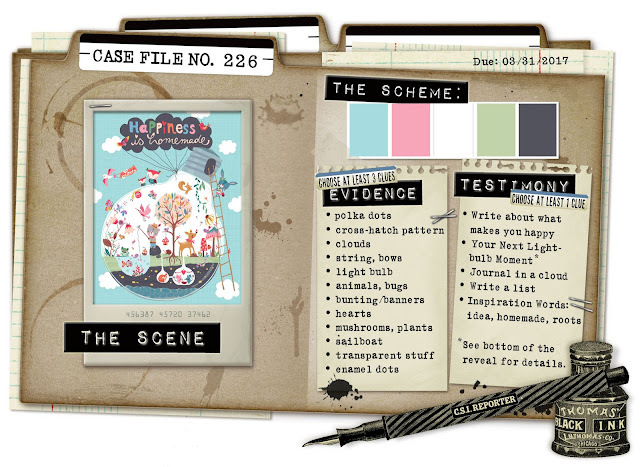 We've got a bright new Case File for our March mid-month challenge! 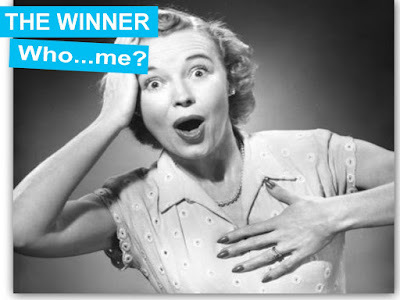 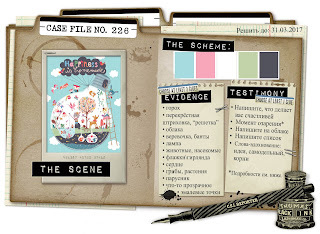 So, are you ready for the new challenge? 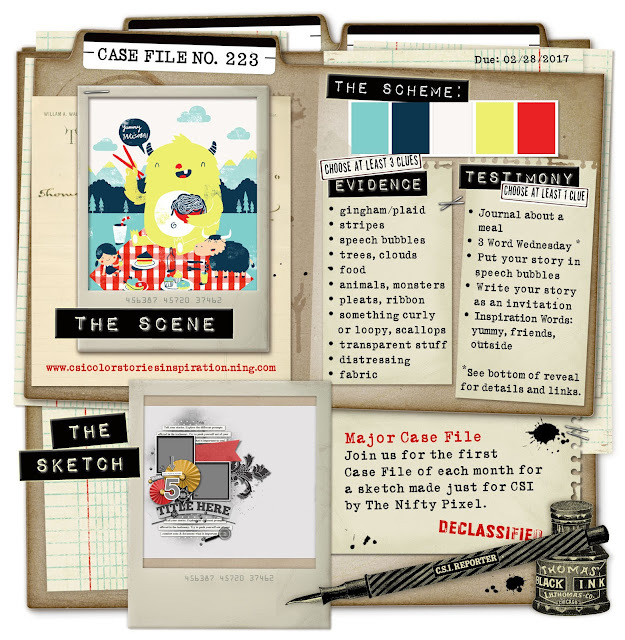 Grab you forensics kits, CSI players, and get ready for some serious sleuthing as we open Major Case File No. 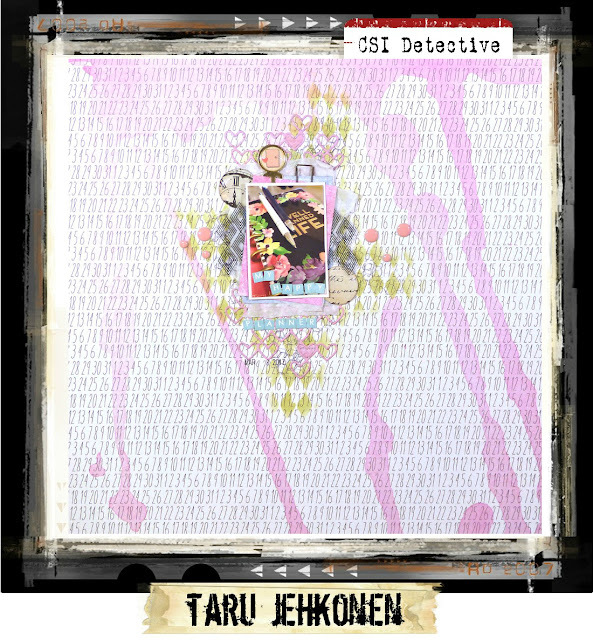 225. 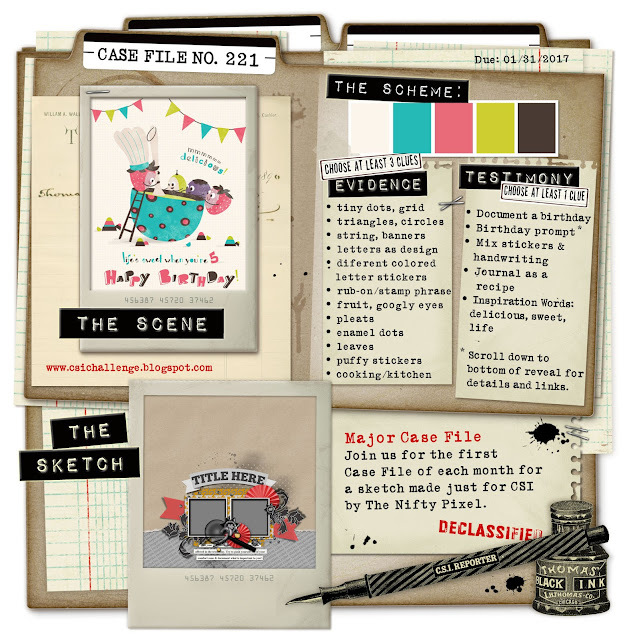 We're mixing it up this month with our Case File themes. Did you know that March International Ideas Month? 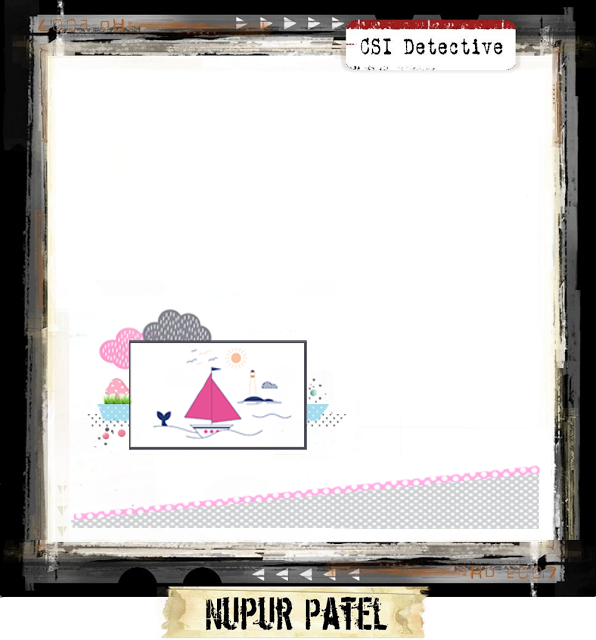 What better icon to represent ideas than a light bulb! 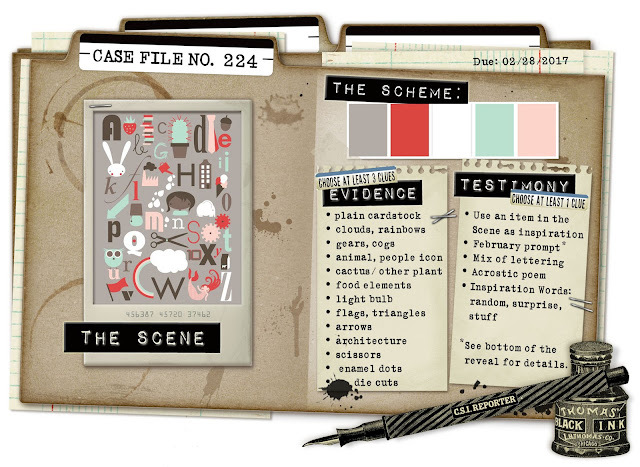 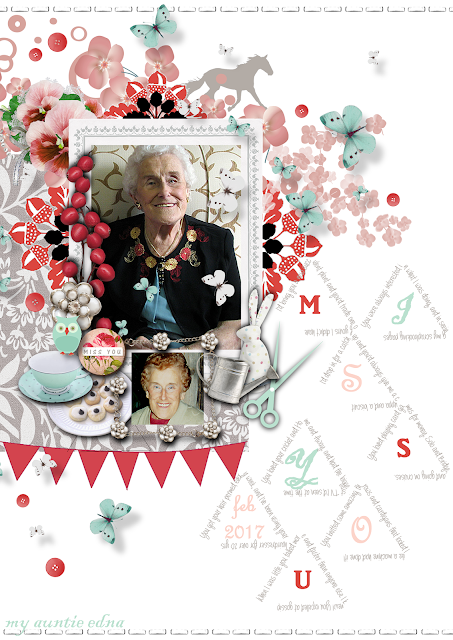 Our delightful Scene inspiring our Case File is by German designer Inga Wilmink. 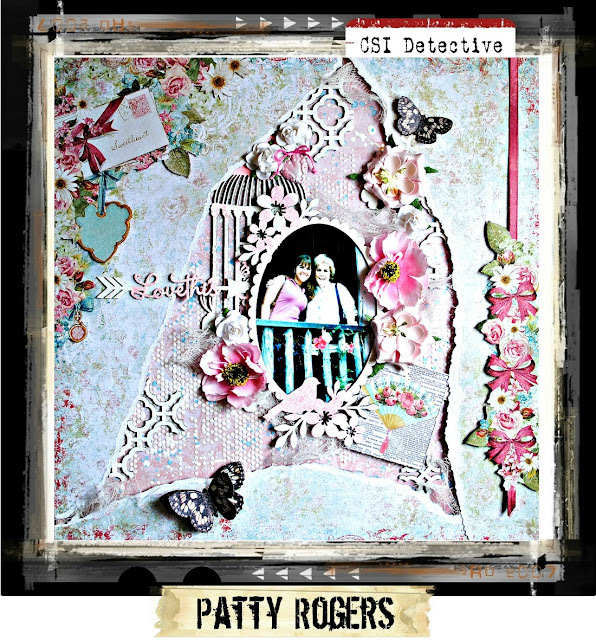 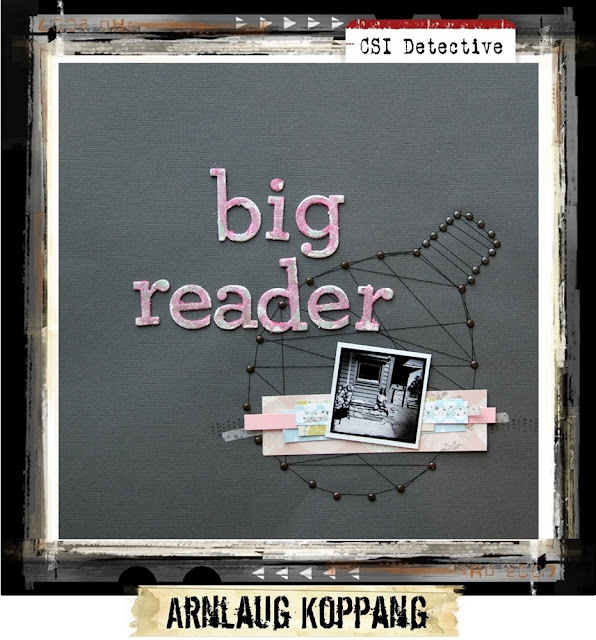 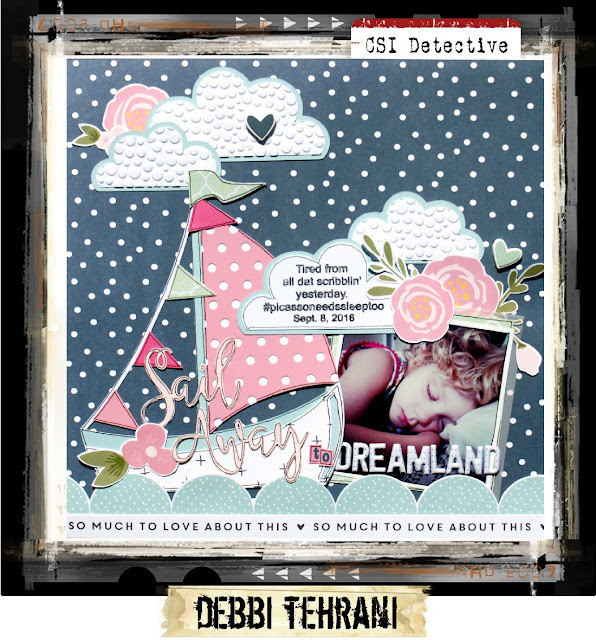 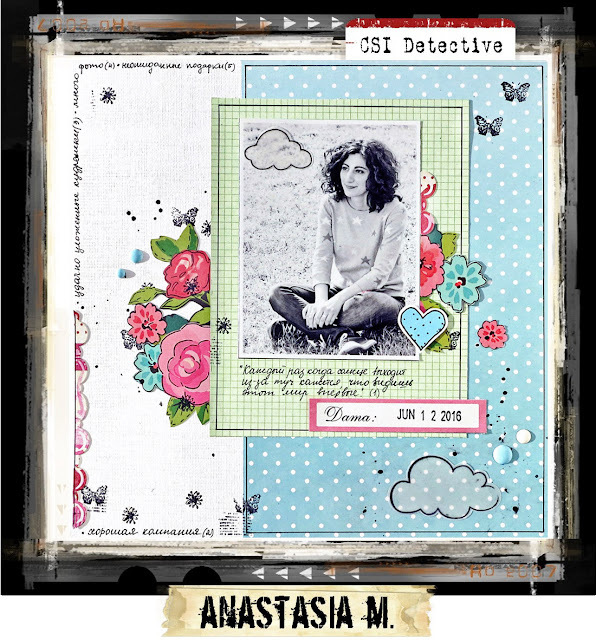 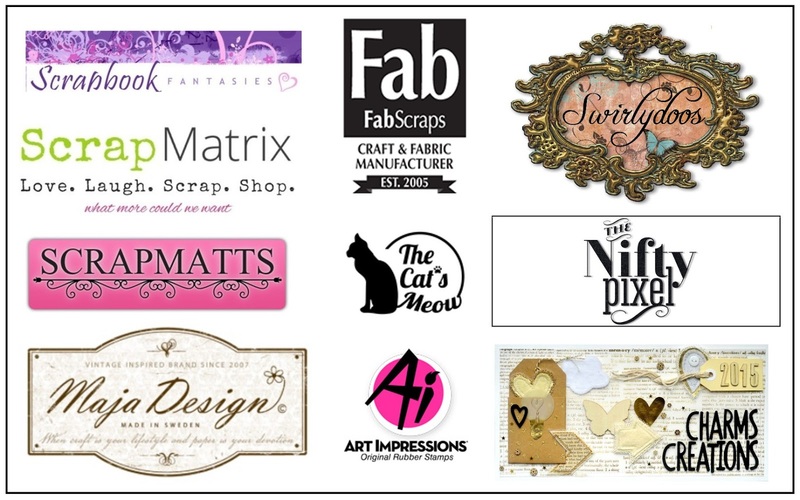 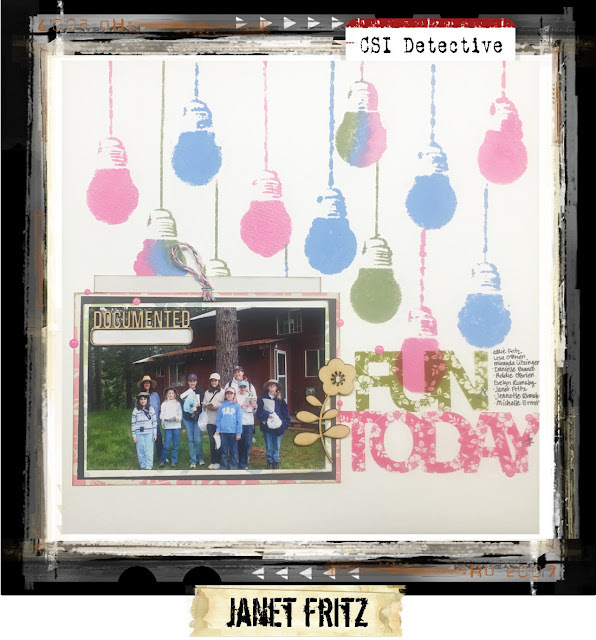 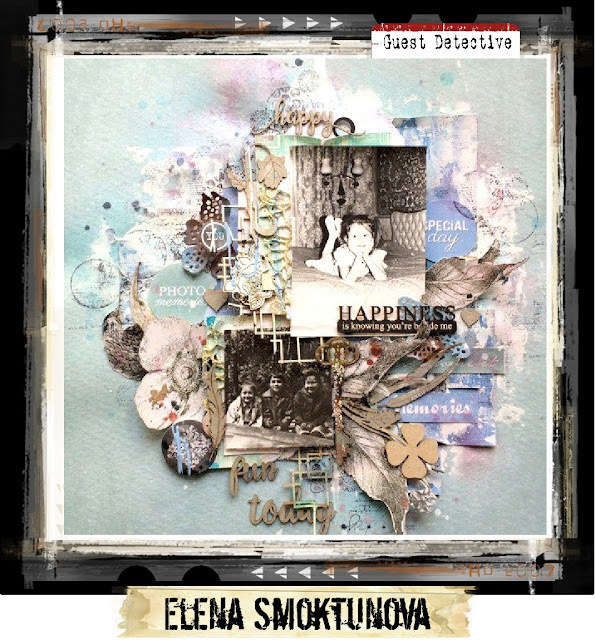 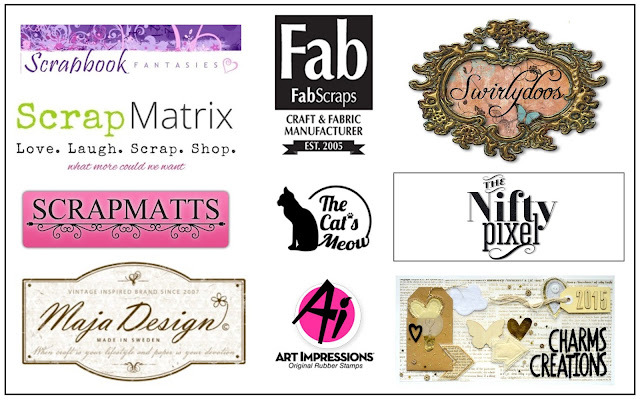 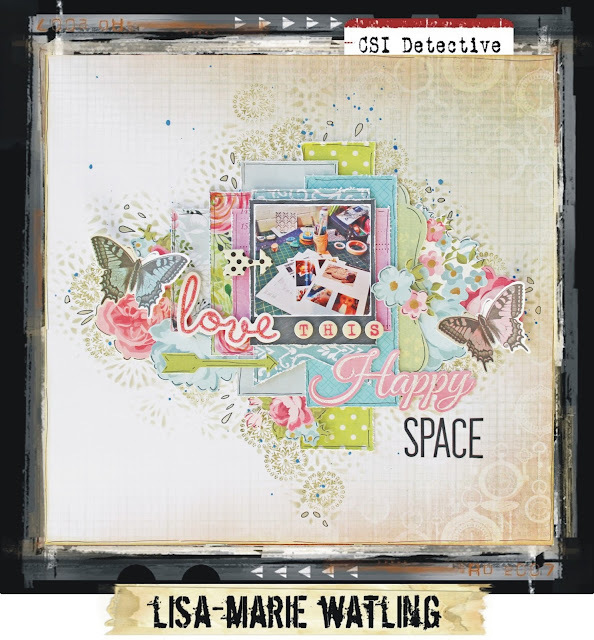 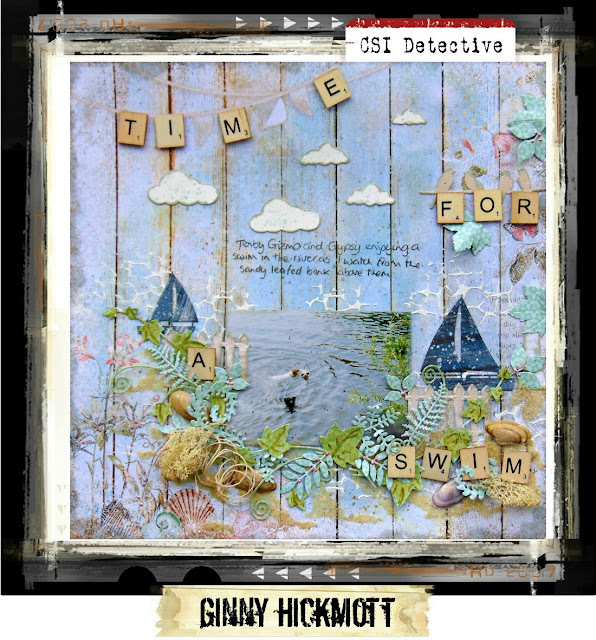 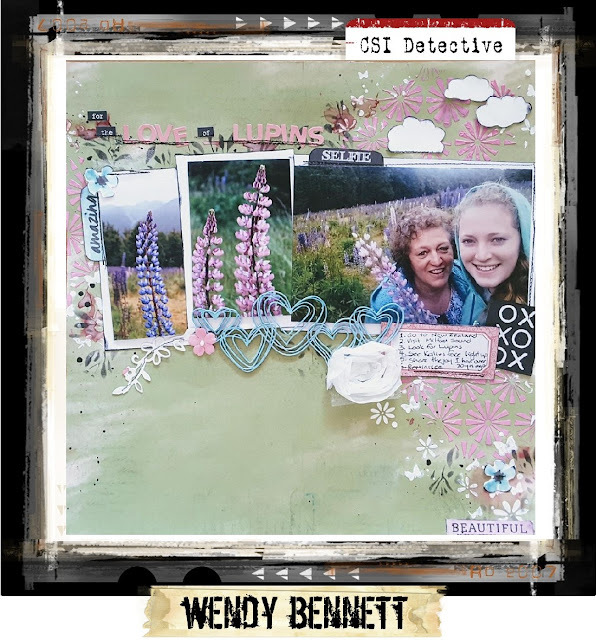 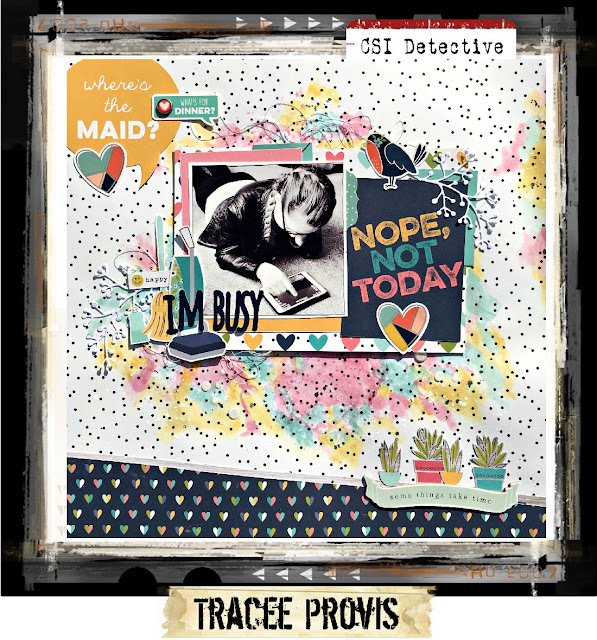 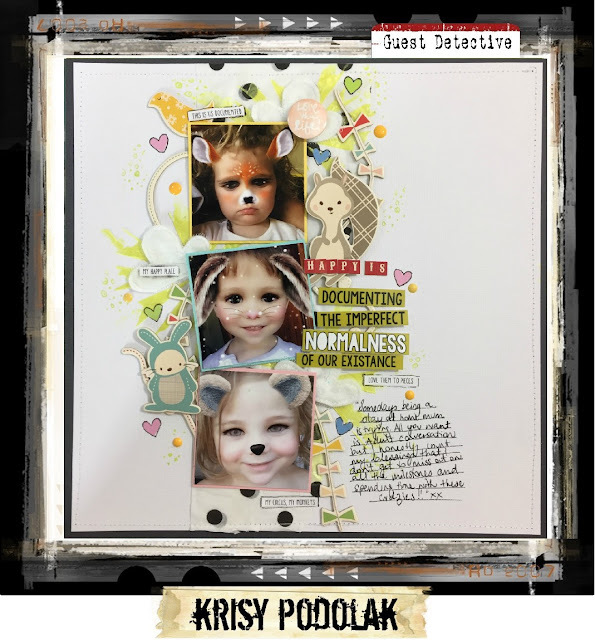 We are delighted to have the design teams from Charms Creations, The Nifty Pixel, Scrapbook Fantasies, and Scrapmatts joining us as Guest Detectives this month! 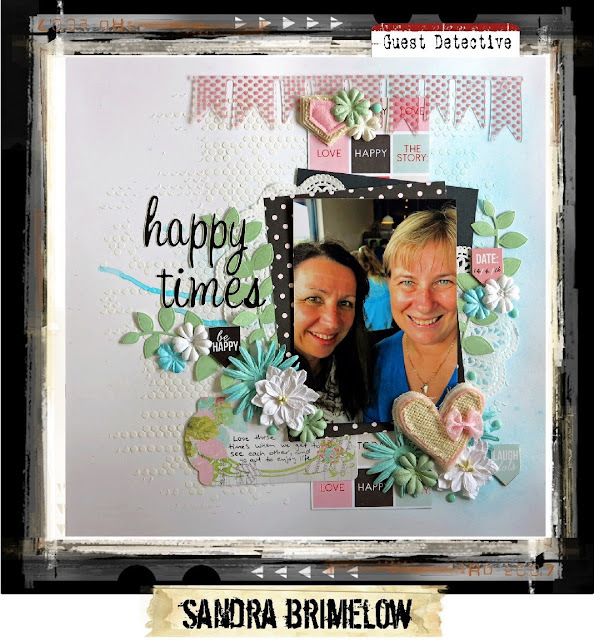 Topic: Write about what makes you happy. Presentation: Journal inside a cloud. 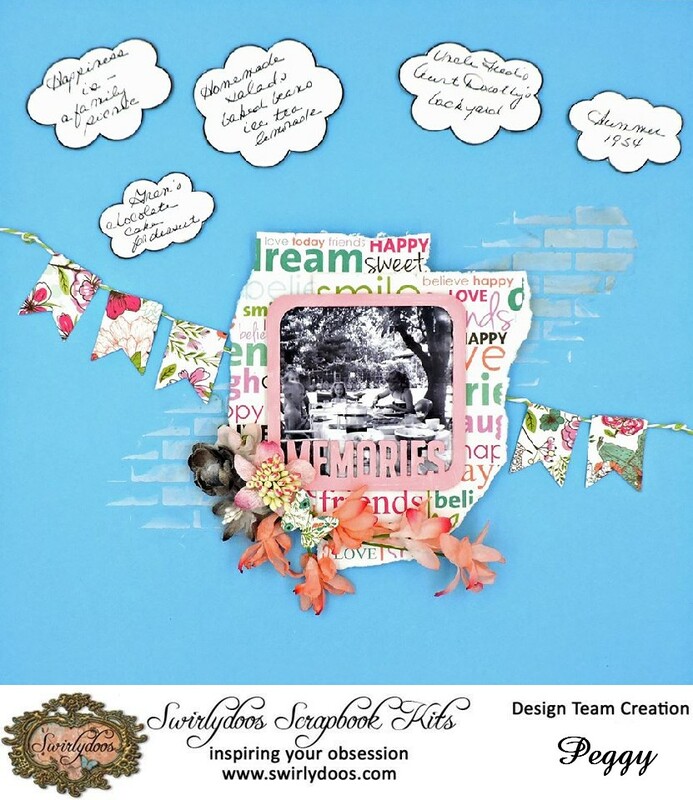 Inspiration Words: idea, homemade, roots--use these as inspiration for your journaling, not just as a title. The deadline for completing this Case File is Friday, March 31, at 11:59 p.m. EST. 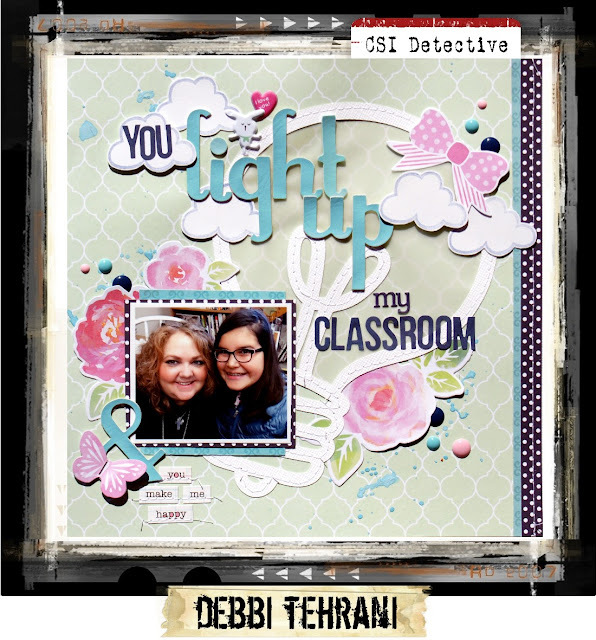 Be sure to link your layout using the link tool in the sidebar, and mention the Evidence and Testimony clues you used in your post. 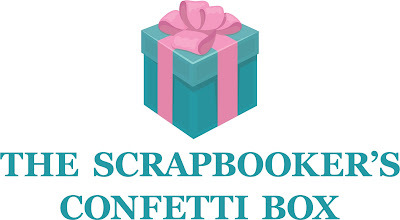 Also, please include your name and country. 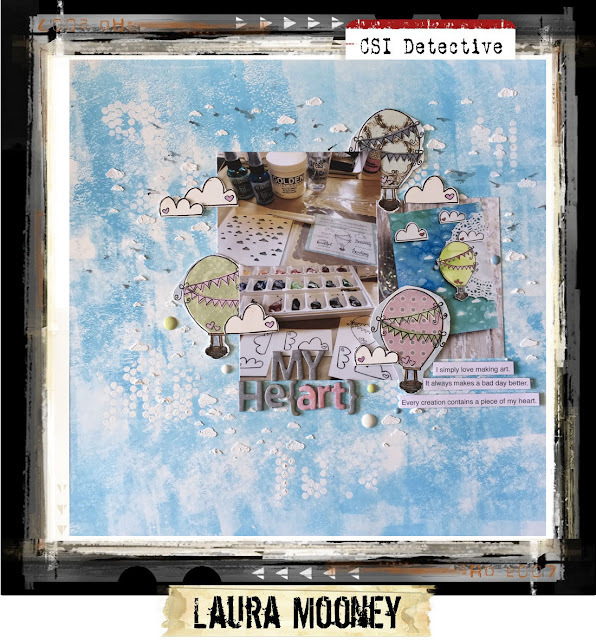 Thank you to everyone who participated in our February challenges. 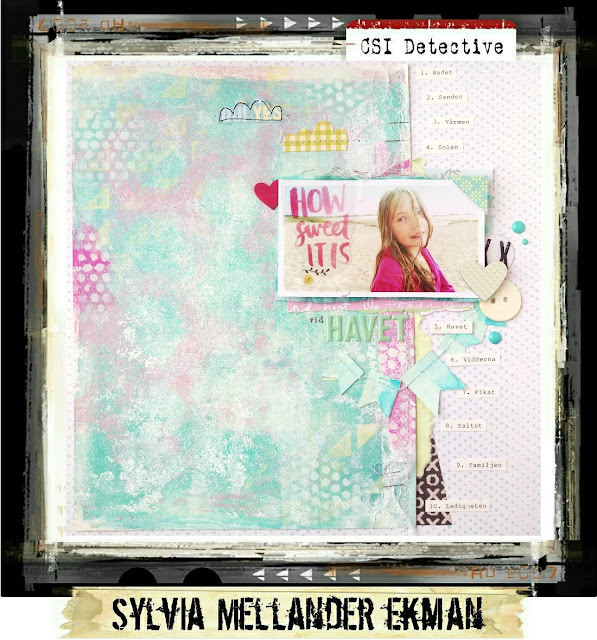 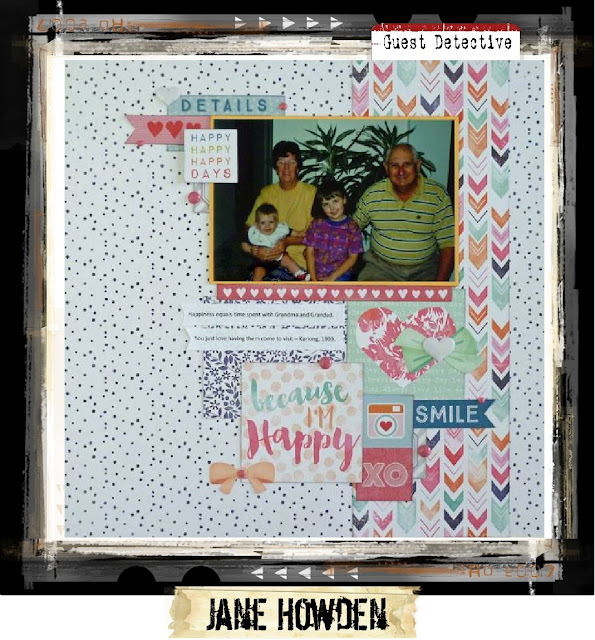 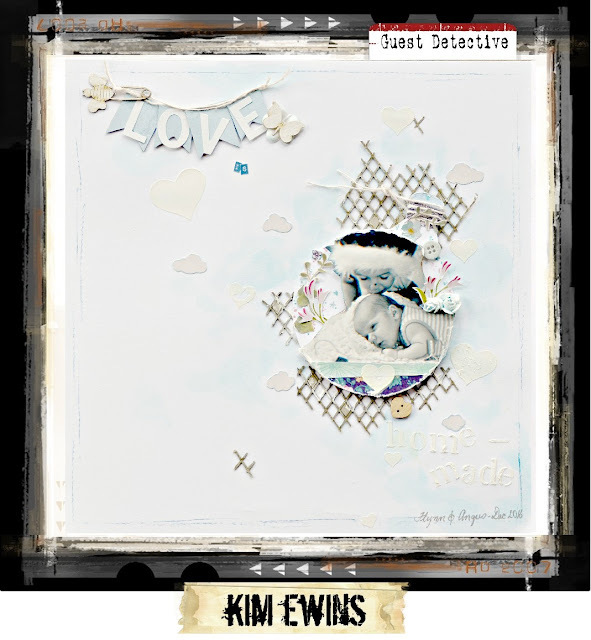 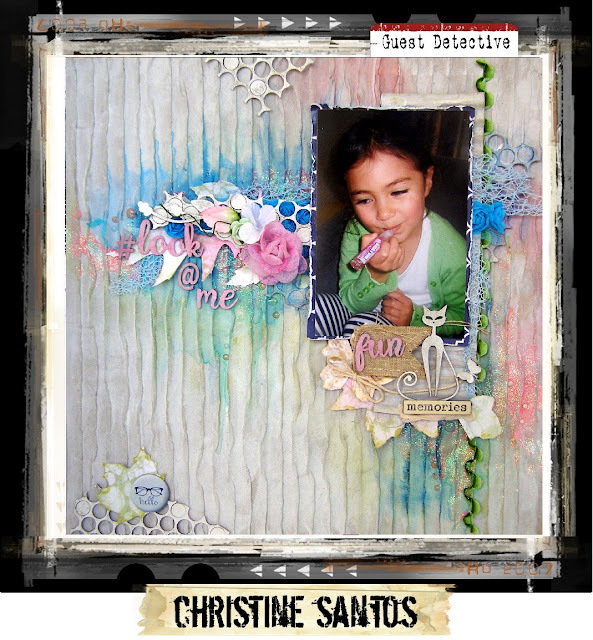 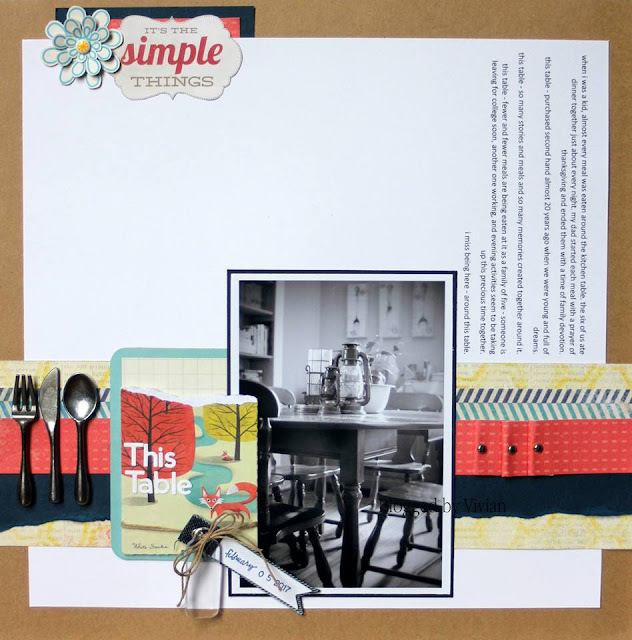 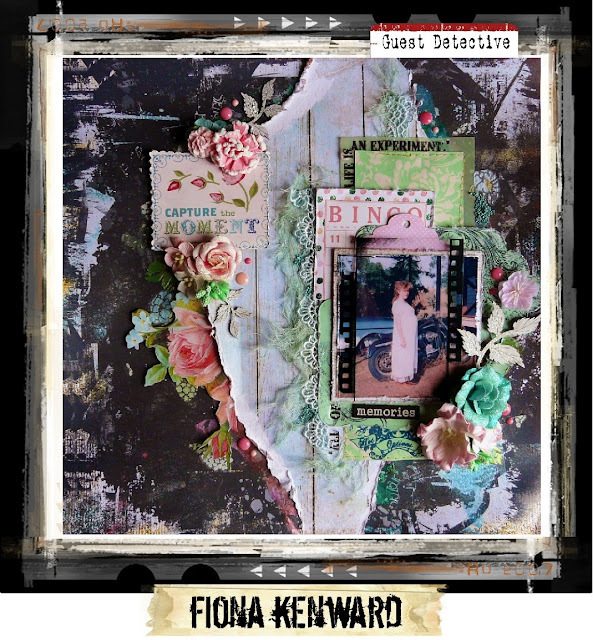 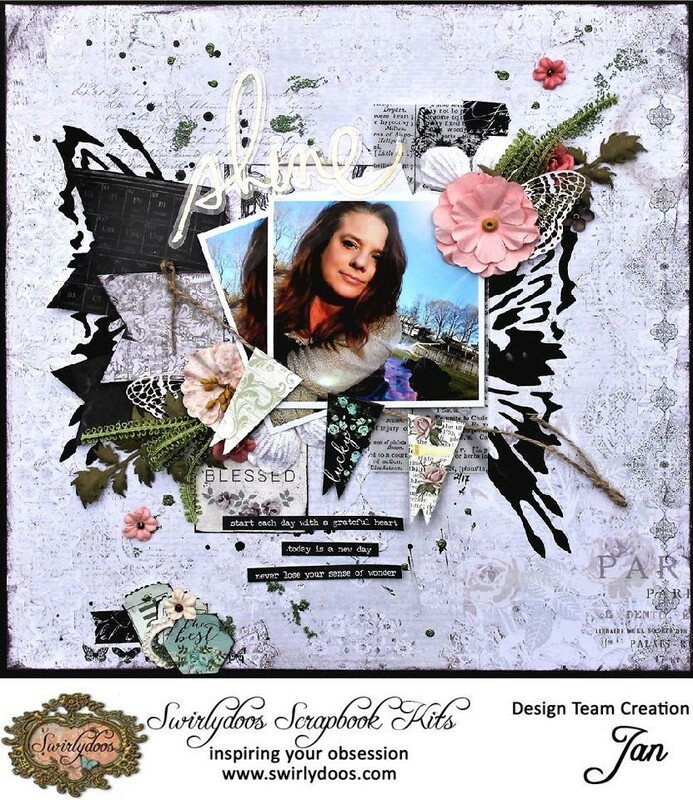 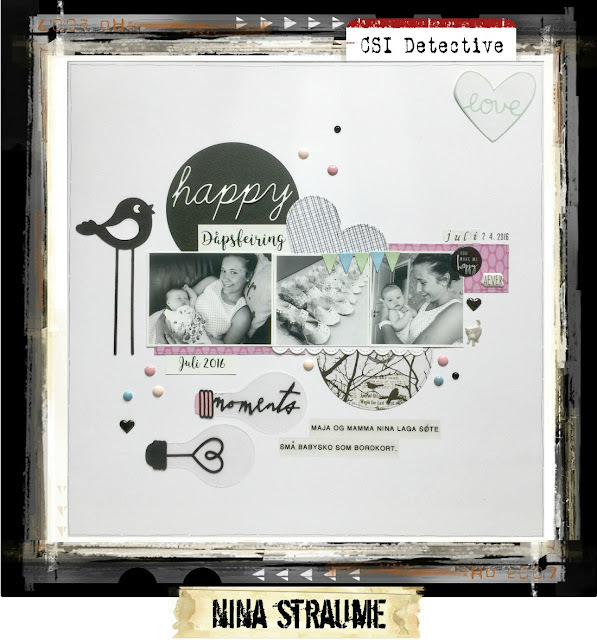 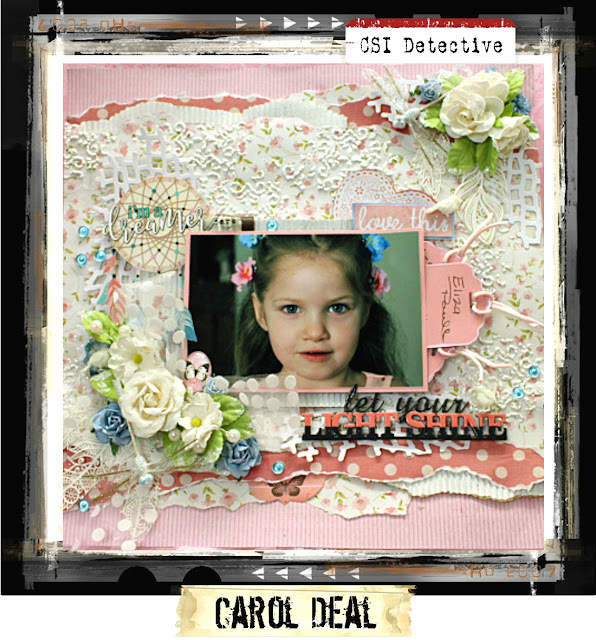 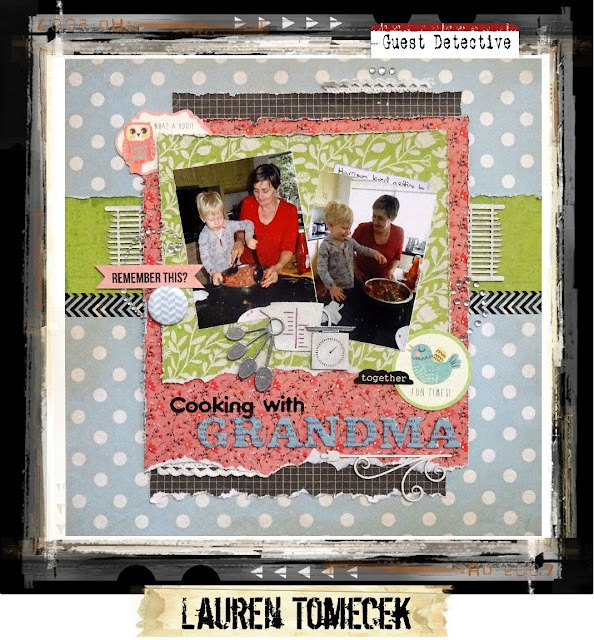 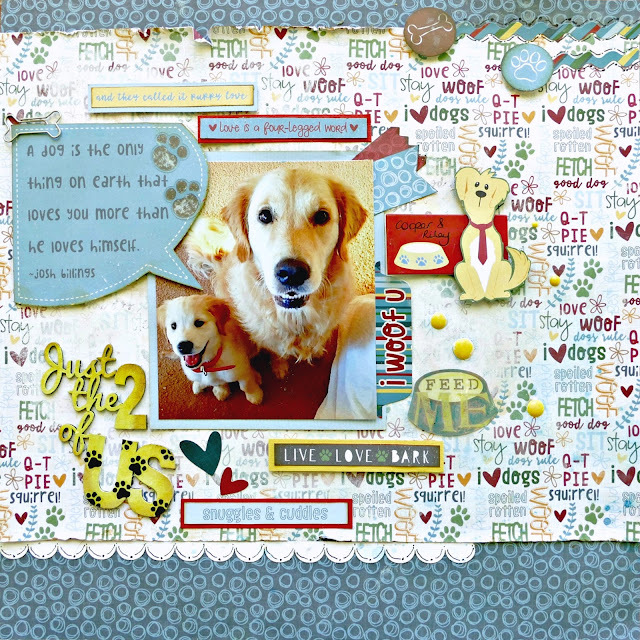 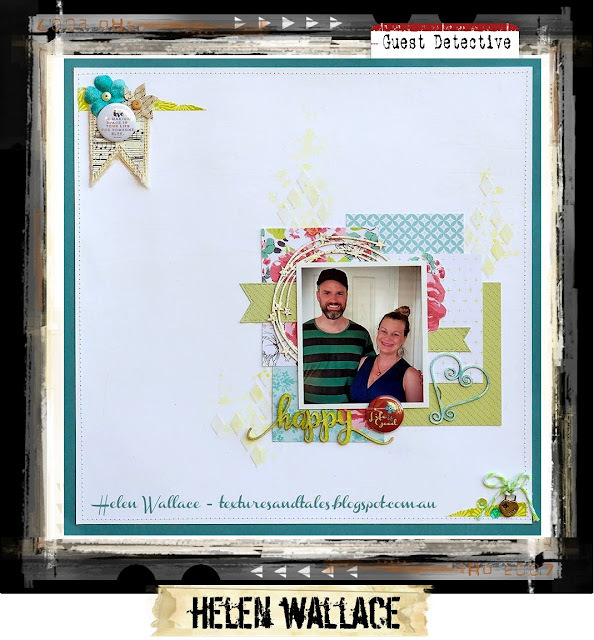 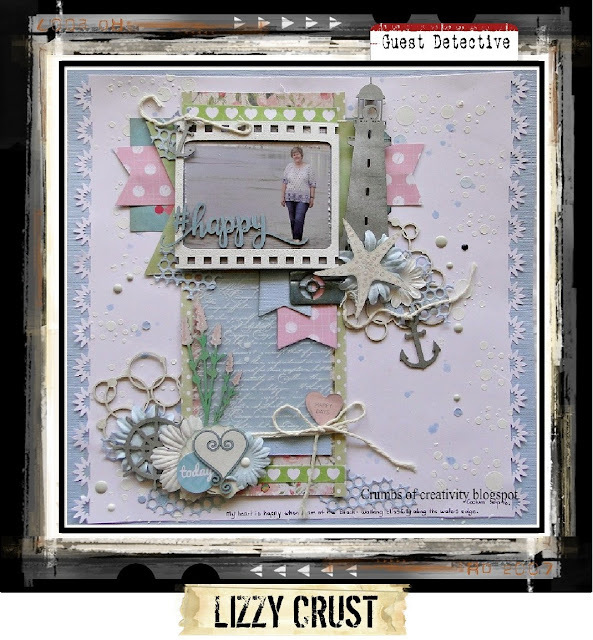 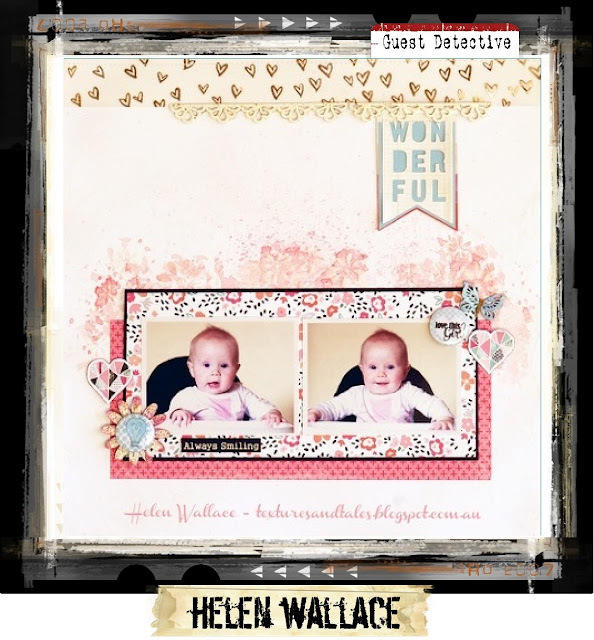 We have chosen our favorite layouts from the February Case Files. 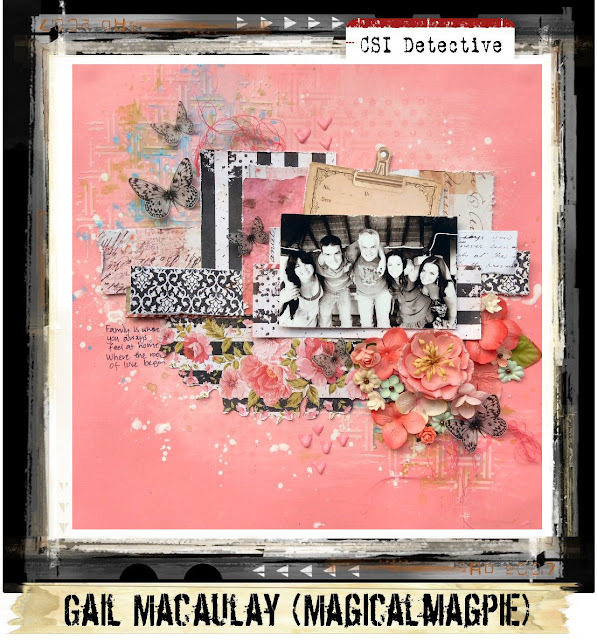 Kylie's tribute to her aunt caught our eye with all the magical details and beautiful use of color. 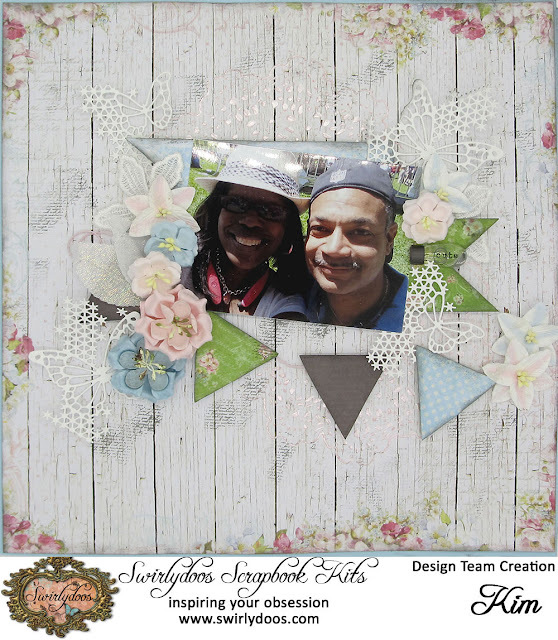 We were enchanted by the clever presentation of her journaling that shaped the triangles. 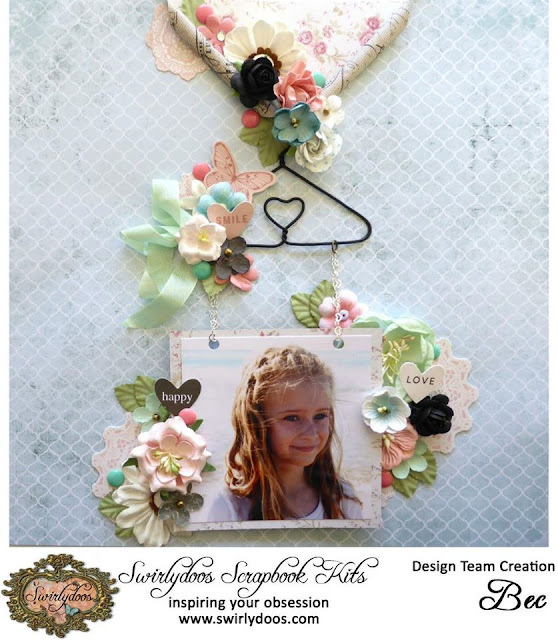 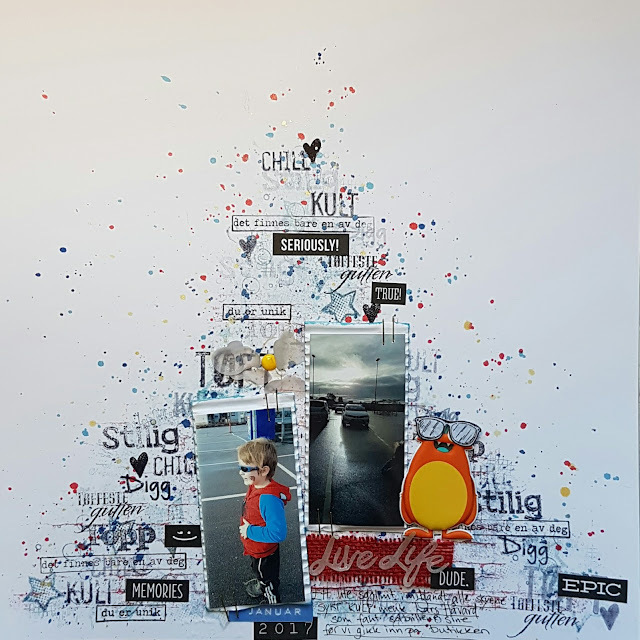 The specific memories Kylie captured are priceless and made her journaling come to life.